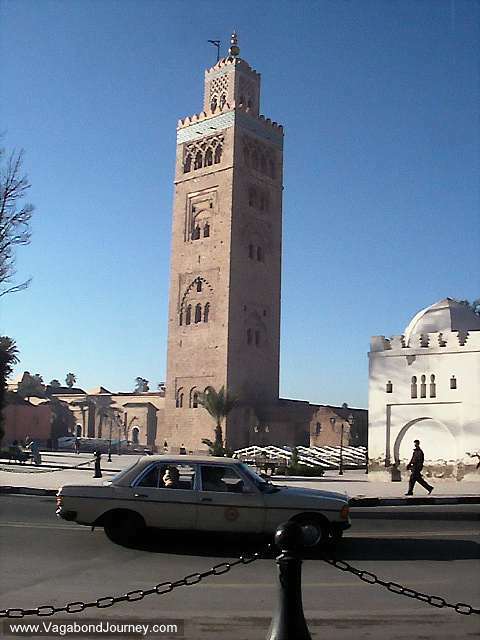 Mosque and car in Marrakech, Morocco. 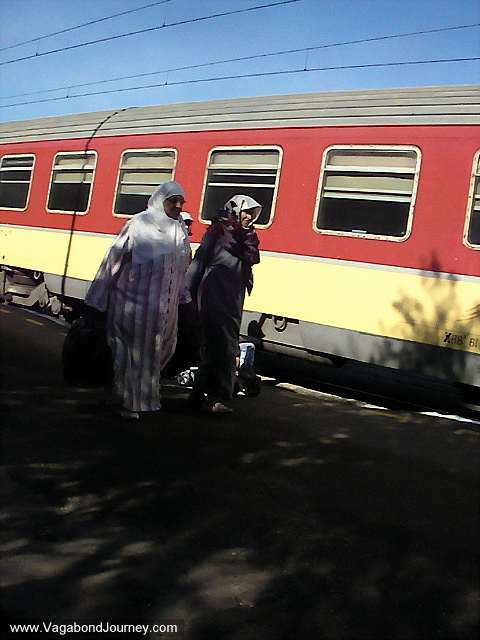 Moroccan women in traditional robes getting off of a train in Marrakech, Morocco. 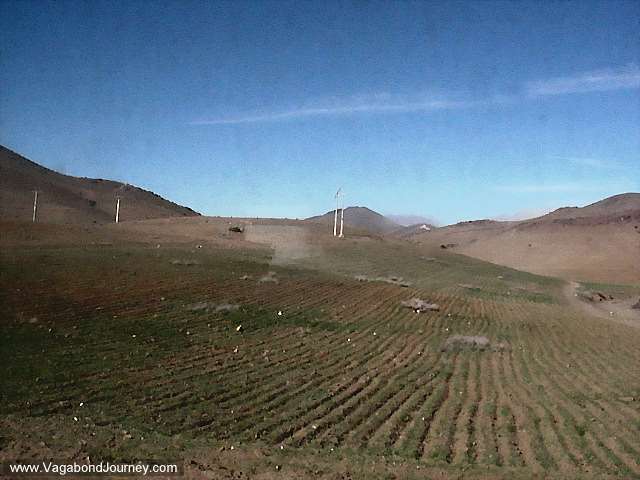 Crops growing in the somewhat agricultural desert of Morocco. 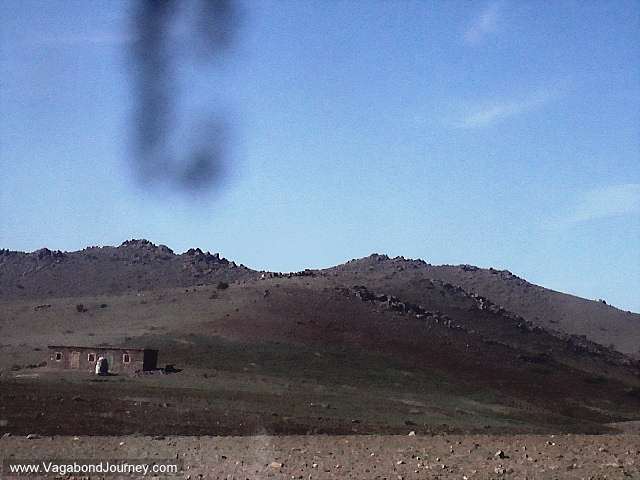 "They keep farming the desert," I hear my friend Andy proclaiming with exasperation. Moroccan food - a good kebab. 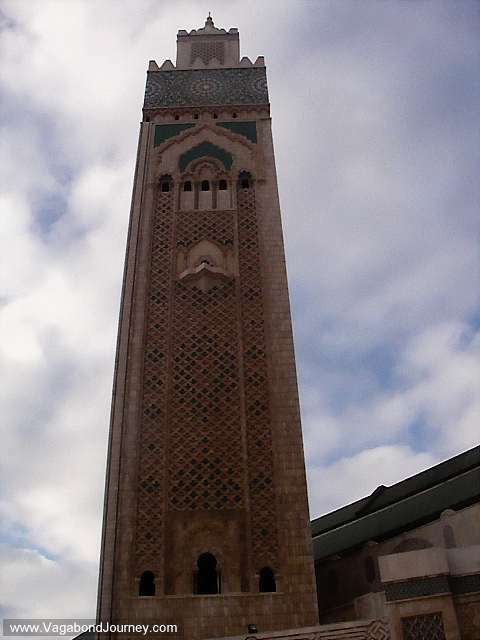 Minaret of the large Hassan II Mosque in Morocco. 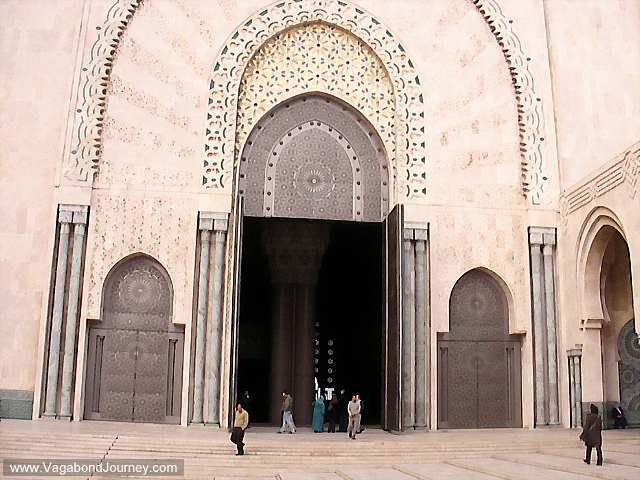 The incredibly large doors of the Hassan II Mosque in Casablanca, Morocco. 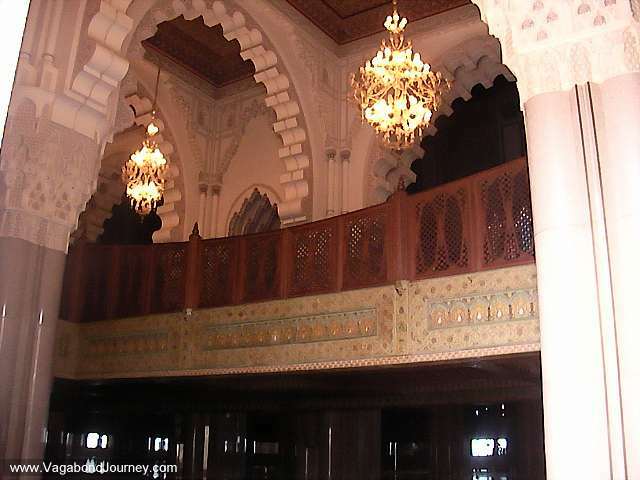 Inside of the Hassan II Mosque. 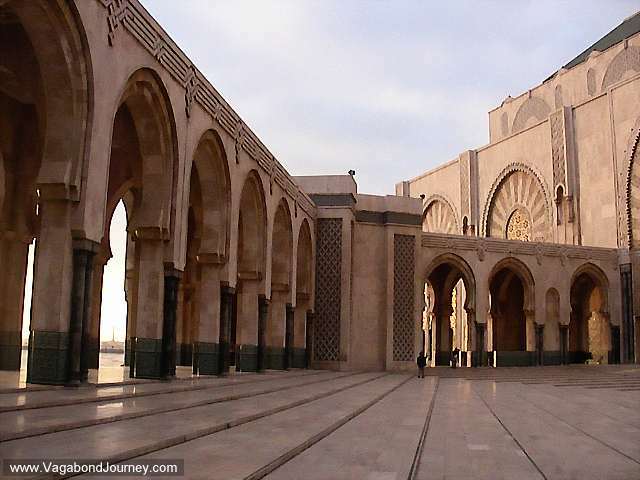 Outside of the Hassan II Mosque in Casablanca, Morocco. Hassan 2 Mosque. 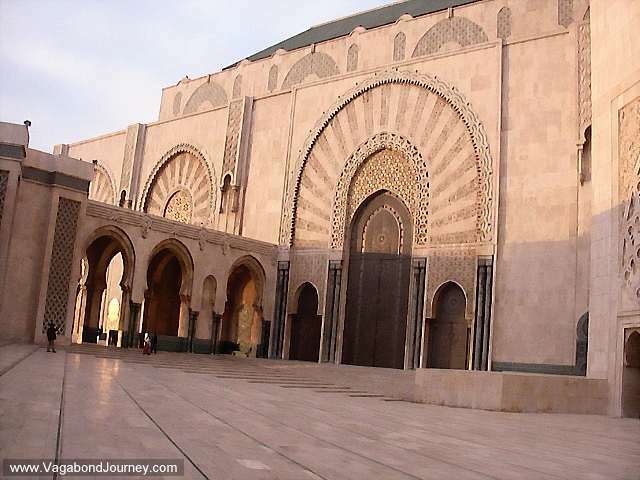 This is one of the largest mosques in the world.